The 7 Things You Should Do Before Your Job Aptitude Test In Nigeria Includes Finding out the question format, Practicing test questions, Don’t easily assume, rather be sure, Attend a tutorial classes if you can, ensure you equip yourself before going for the test, Read the instructions very well, Be fast, with care and finally Beware of poisonous “low-hanging fruits”. Almost all companies organise aptitude tests when recruiting for open job positions, especially for entry level positions. These tests are designed to assess candidates for various skills and capacities, such as behavioural skills, language skills, problem solving skills, critical reasoning capacity, and many others, with a view to weeding out unfit candidates. Typically, the tests are administered under exam conditions. 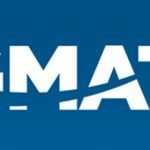 In Nigeria, companies like KPMG, PwC, Sahara Group, FrieslandCampina, banks and oil companies organise aptitude tests for their entry level job candidates. So, if you’re looking to take up a graduate position in a company, bear in mind that you will most likely have to write an aptitude test, which is usually in a multiple-choice format. 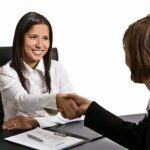 Your performance during this test will determine whether you will be invited for the next phase of the recruitment process, which is usually the interview. 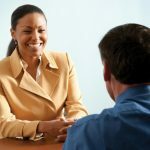 So, it is crucial that you pass this test to have any chances of getting that desired job. As with any other exam, there are no shortcuts to passing a recruitment aptitude test. If you really want to get a high score and be in the top percentile, you must prepare hard. Most of the time, you’ll be notified of the test one or two weeks in advance. Although that time frame might seem too short for you to prepare, it should be enough if you’re systematic. Your first step is to find out the types of questions to expect in the test. From questions on verbal and numeric ability to those on fault diagnosis and abstract reasoning, different types of questions are presented at aptitude tests, so you need to know what to prepare for. A good way to do this is to consult search engines like Google. If the company whose test you’re preparing for is XYZ Consulting, for instance, use search engine term like “XYZ Consulting question format”, and you are most likely going to be directed to a career website or discussion forum where such had been discussed. If it is a less-known company, and its test may not have been discussed on the internet before, you may try speaking with someone that had done the test in the past. Try calling several friends and ask whether they have an idea on how the job test of the company looks like. After getting hints on the test type of the company, find practice test questions similar to the ones you’re expecting, and solve as many of them as possible. During your practice, figure out your weak areas and try to improve on them. The more you practice, the higher your chances of scoring are. When preparing for an aptitude test, don’t ever make any assumptions. For example, don’t assume that the numerical reasoning test would be a walk in the park simply because you had an A grade in math in college. Practice every type of question you expect to face during the test! Passing recruitment aptitude tests requires a great deal of smartness. So, you need to work smartly, quickly and accurately throughout the test. When going for the exam, equip yourself with everything you will need, such as your watch, writing materials (pen, pencil, etc. as requested), and calculator – one that you’re familiar with and understand how to use. Before you start attempting any questions, be sure to read over the instructions two to three times. Overlooking or misinterpreting instructions will affect your score badly, so always take your time to understand them. Once you start attempting the questions, work as fast as possible without being careless. Recruitment aptitude tests are usually strictly timed, and a typical test allows you to spend just 30 to 60 seconds on a question. 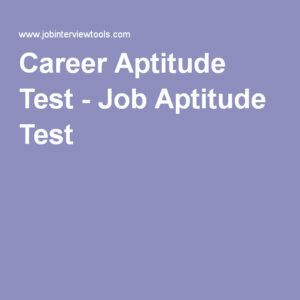 In fact, the major goal of aptitude test is to know how fast a prospective employee can think. Whenever you come across a difficult question, don’t waste your time on it. Move on to other questions and come back to it later, if you can. It is good to answer all the questions, but you don’t need to answer all the questions to pass. If the questions are in a multiple-choice format, you need to be extra careful. Many test questions are actually straightforward. However, some only appear so and the solutions are not usually as straightforward as they seem. Such questions are often designed to confuse you, with incorrect options that include common mistakes that candidates make. Answer as many questions as you can. Even if you cannot answer everything – which will most likely be the case – don’t get frustrated. The most important thing is to correctly answer the ones you can. Where there is no rule against it, I personally advise guessing the right choice for tough questions rather than spend more time on them, but this should be done only in the last three minutes of the test. Recruitment aptitude tests are usually tough, and have been the bane of many job seekers. However, I believe the tips shared here can make a difference in crossing that hurdle. P.S. When practicing the numerical aspect of aptitude tests, do so without calculators. Quite a large number of recruitment processes don’t allow usage of calculators. See The Wisest Way To Answer This Job Interview Question: What Salary Are You Seeking?